You’ve been studying for an hour and you decide you need to take a snack break. So you walk into the kitchen in your apartment only to find that there is NO FOOD. You’re hungry so without thinking, you decide to hit the grocery store. Once you’re walking up and down the aisles, you just start piling whatever looks good into your basket. Then you get to the long checkout line and while waiting you see candy and magazines so you throw those in your basket too. By the time you get home you realize that you’ve made a pretty big dent in your wallet all on expensive junk food and didn’t pick up anything that you need. I’m sure that any college student can relate to this scenario. That’s why I have a few tips for college students to remember before grocery shopping. 1. Don’t shop while hungry. When we’re hungry, we only focus on buying food that we’re craving and generally don’t check the price on what we put in our cart just because it looks yummy. Before shopping, make sure you eat. That way you can focus on other things, such as looking at prices, to avoid buying expensive food. Eating before you shop also causes you to make healthier choices since you aren’t craving that junk food. 2. Make a list. If you go to the grocery store without checking what you have and what you need, you’ll end up wandering around in the store buying food you don’t need and ultimately wasting money. 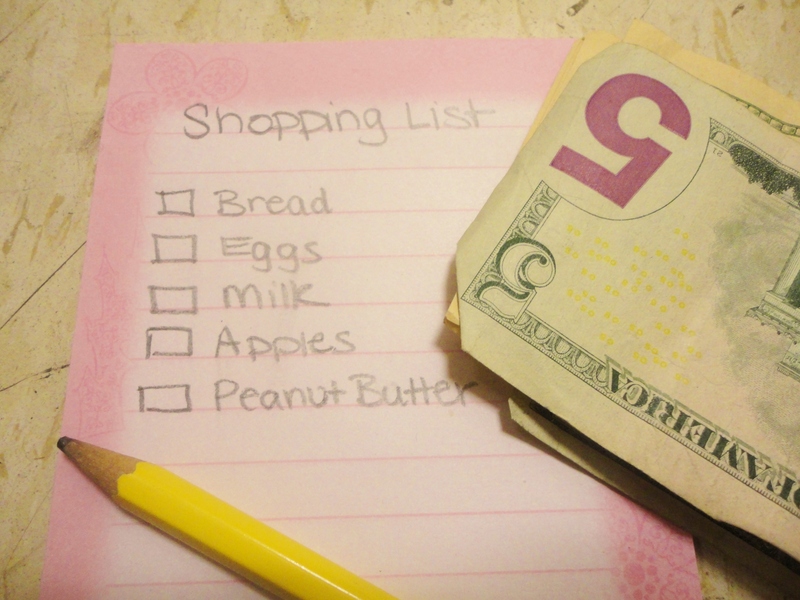 Sit down with your roommates before hand and make a list in order to avoid overspending. If it’s not on your list, don’t buy it. But we all know that sometimes we forget to put things on our list because we can’t see what the grocery store has. Food Lion (www.foodlion.com) lets you search on their website to see what grocery stores they have and you can add things to a list that you can then print off and bring to the store with you. 3. Avoid temptation. Grocery stores know that lines are often long so people may be waiting for five minutes just to check out. That’s why they put a wide array of tempting candy bars and magazines in the checkout lines. They’re waiting for someone to fall for it and put all of those things in their cart. To avoid temptation, use the self-checkout. Self-checkout lines often don’t have all of that distracting you and you’ll be focusing on ringing your groceries up yourself. Even the smartest shoppers fall pray to these shopping scenarios. Next time you need to go to the grocery store, remember these tips to shop smarter. ← Making peace with pizza!